So, things have been pretty awful for me ever since I got back from Austin. About 2 weeks now. Been tired and congested and just generally malaise about life and everything in general. 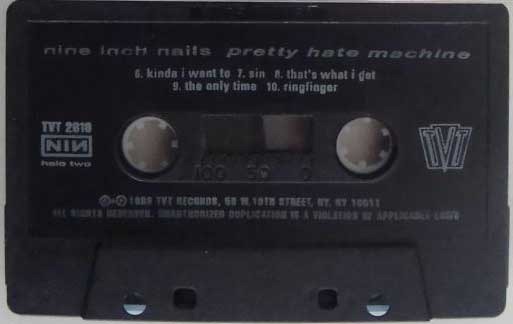 Felt like I was a teenager again, I wanted to spend most evenings sitting in the dark listening to “Pretty Hate Machine” again and again waiting for the cassette tape to break. But, back in high school, I had neither a job nor a family and could fake my way through the day on little or no sleep. But, at the end of last week I went to the Doctor, after finally accepting that this was not normal. And she said that I have bronchitis, which pretty much explains why I regressed to those dark 90’s days. Working on cranking up the action and plot in my short story “NULL”. Had a nice outline for a much more ambitious story and trimmed it aback to something tractable, now working on revamping the foreground story (the story has a series of vignettes told as flashbacks with a bookend set in the present of the story). Previously the present day story was just some fluff, but I thought about it and needed some driving action there. So, really I have 3 short microfiction stories intertwined in a strong short story. Hoping it comes out well. Sort of a strange pattern, but I have seen this type of story work well, an old Stephen King story about the history of teleportation (where a kid ends up with white hair and unnaturally aged after saying awake during teleportation) comes to mind. Barney Frank continues to amuse me, I would have loved to have him as our Congress-Critter, but I don’t know that I could take a southie accented daughter. Anyway, now he and Ron Paul are going to offer a bill that would allow states to legalize pot, if they want to. Pretty cool, even as just a conversation starter. Usually I would add more in here, a few more links or a story but kind of pressed for time. Have to take the greyhound (or as I like to think of her, our hellhound) to the Vet. Looks like she ate a wasp or something and her lip is still puffy. Poor puppy.